County Health Rankings– The County Health Rankings & Roadmaps program is a collaboration between the Robert Wood Johnson Foundation and the University of Wisconsin Population Health Institute that measures vital health factors, including high school graduation rates, obesity, smoking, unemployment, access to healthy foods, the quality of air and water, income, and teen births in nearly every county in America. 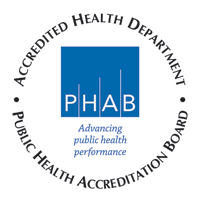 Michigan Profile for Health Youth– The MiPHY provides student results on health risk behaviors including substance use, violence, physical activity, nutrition, sexual behavior, and emotional health in grades 7, 9, and 11. Kids Count Data Center– KCDC is a project of the Annie E. Casey Foundation to track the well-being of children in the United States. MDHHS– The Department of Health & Human Services is responsible for the collection of information on a range of health related issues to monitor the general health and well-being of Michigan’s citizens. CDC– The Centers for Disease Control and Prevention is the nation’s health protection agency, CDC saves lives and protects people from health threats. CDC conducts critical science and provides health information that protects our nation against expensive and dangerous health threats, and responds when these arise.